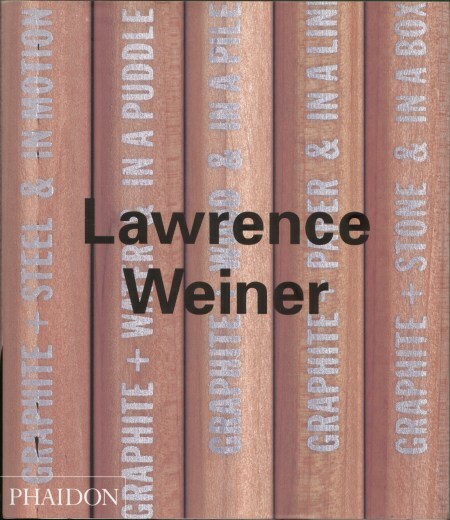 This volume surveys the work of one of the canonical Conceptual artists of the 1960s, American artist Lawrence Weiner. He pioneered the radical proposition that the work of art could exist as a concept, without the need for physical materials which will decay and which transform art into consumer goods. As well as being art historically significant, making an enormous impact on subsequent generations, Weiner continues to occupy a powerful presence in the contemporary artworld through an ongoing series of exhibitions and public commissions. He composes texts which are evocative of process, materials, structure and history. Working within the specifics of a particular site he uses its architecture and geography as inspiration. He always uses Univers Condensed, a simple, utilitarian yet elegant typeface, adding a painterly quality with his choice of vivid colours or stark monochromes. Weiner is dedicated to the idea of access, distribution and the free circulation of art and ideas. To this end he has situated his works in sites ranging from gallery walls to postcards, CDs and videos. The book is part of a series of studies of important artists of the late-20th century. Each title offers a comprehensive survey of the artist's work, providing analyses and multiple perspectives on contemporary art and its inspiration.